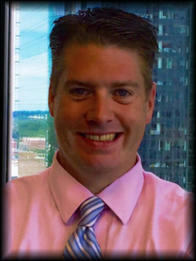 Jason has been with Fifth Third Bank since 2010. Before transitioning to business banking, he was a membership banking relationship manager who consistently maintained a record of exceeding the goals and expectations of both his internal and external customers. His commitment to his customers and ability to align smart financial solutions to their specific needs has earned him recognition as a preferred membership advantage relationship manager for Motorsports in North Carolina as well as recipient of the prestigious President’s Circle award. Jason graduated with a Bachelor of Arts in Communication from Ramapo College of New Jersey. He has furthered his education through completion of several commercial lending courses and Fifth Third’s Omega Business Banking training. Jason lives in Huntersville, NC with his wife and their two children. He stays actively involved in several community outreach programs such as Fifth Third’s Focused Mentor Program.